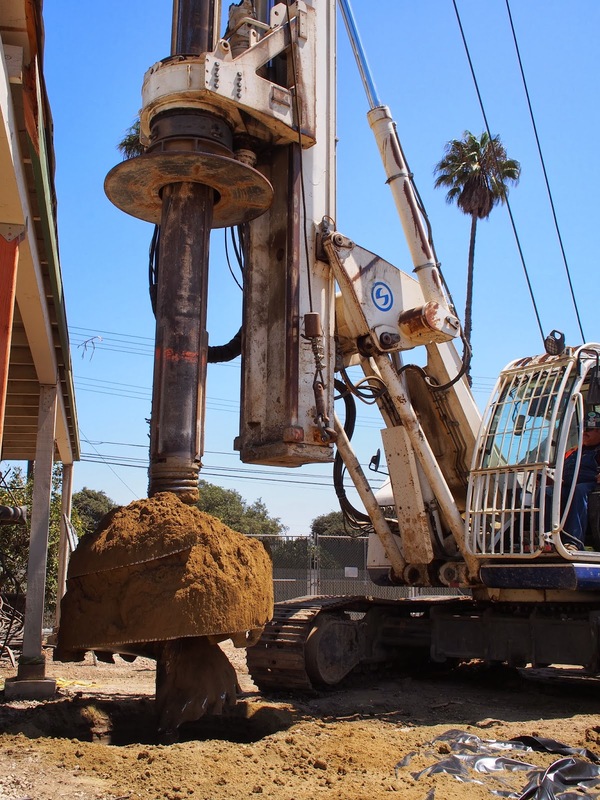 The Reynolds Group was employed to devise and implement a soils Corrective Action Plan for a property in Ventura, California where a cell phone tower, a building structure, and other property improvements prevented conventional remediation by excavation (also known in the industry as “dig and haul”). TRG’s work plan advocated secondary source removal which is a key factor in obtaining a No Further Action Letter under the State of California’s Low Threat Closure Evaluation Criteria. Given the very tight physical space, TRG employed five feet diameter bucket augers to perform the secondary source removal, excavating to approximately 50 feet below ground surface and backfilling with cement slurry. TRG was the engineer and general contractor of record. After obtaining all local traffic permits, TRG performed public participation requirements, conformed with local Air Quality Management District requirements, and successfully performed the work under budget. The work was performed under the auspices of the County of Ventura Local Oversight Program.